I really loves these sticks for a fine balance between hitting super hard and lighter, faster blasting. 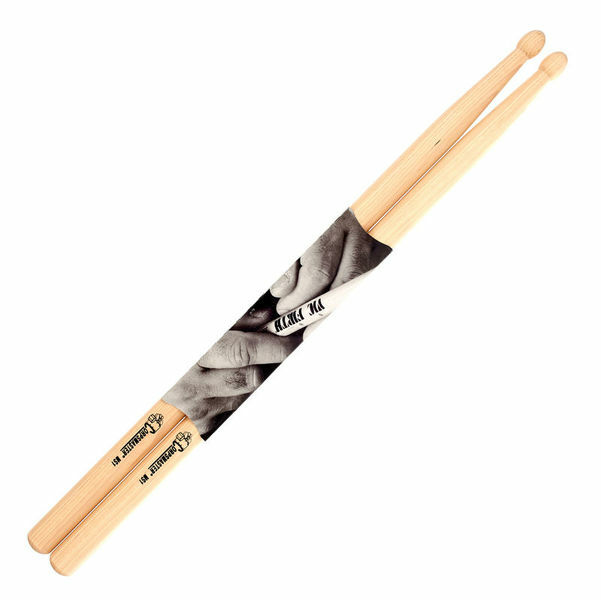 The short taper helps give the sticks a little more 'throw' and the thickness really fills your hand for more feel and control (especially if you're hands aren't small) without being too much (I found the MS2s a bit much by comparison). Overall, great sticks with a great balance and great feel. Fills the hands and provides you with weight but not too much of it. A must for metal imo. ID: 403449 © 1996–2019 Thomann GmbH Thomann loves you, because you rock!